Successful restaurants know just how important a solid inventory management process is to delivering a great product and experience. Even so, many restaurants today still struggle with ordering the right amount of inventory. Statistics show that restaurants waste about 10% of their food product, that’s money literally thrown in the trash - There’s only so much time in a manager’s day to manually deal with all of it. 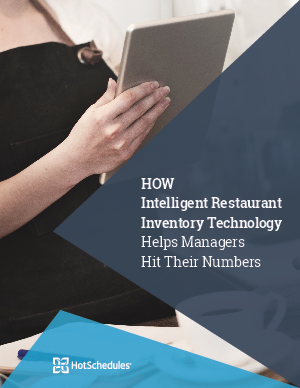 This ebook will explore the exciting new frontier of intelligent restaurant operating platforms, and how modern inventory management systems can make the process easier and more successful for your managers.